What is ITIL configuration management tutorial? ITIL configuration management is a configuration framework tool offered to provide the guidelines to the end users on all elements of end to end service management. It It includes all concepts like spectrum of people, processes, products and use of partners. 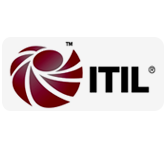 This tutorial is designed for the learners and as well as professionals to who wants to pursue ITIL certification. To learn this tutorial one must have basic understanding of the terms such as Information Technology, Infrastructure, Services, and Service Level Agreements etc.